I will be going over primarily permission sets/profiles and Object Permissions. The concept utilized below applies to the other objects. This will return a list of all permissionSets in the organization. You will want to use this query in dataloader as tools such as workbench receive a foreign key error when attempting to export as a CSV file. 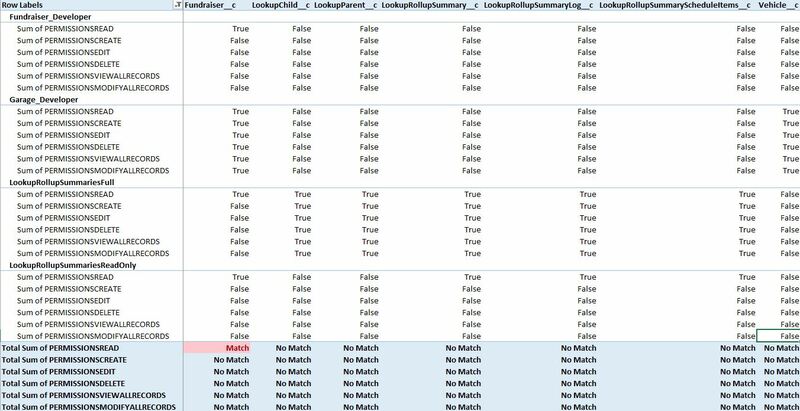 Once in excel, replace all of the “true” values with 1 and the “false” values with 0. You can hit control + f on your keyboard to replace all. Your spreadsheet should look like this. Be sure the freeze the first column by going to View > Freeze Panes > Freeze First Column. 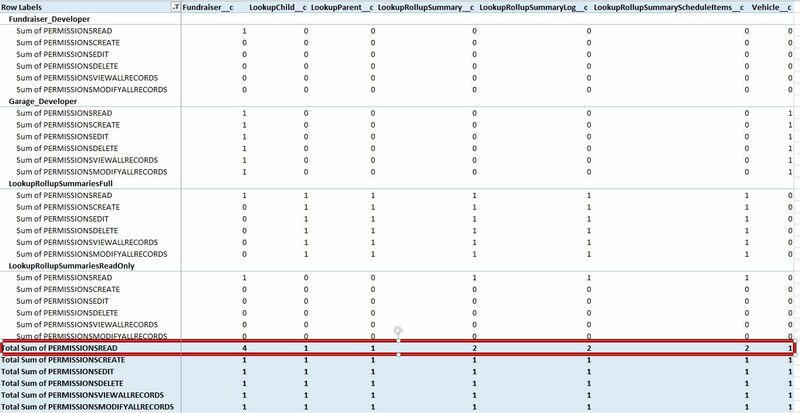 This makes it easier to scroll through the spreadsheet and see which object is being referenced. 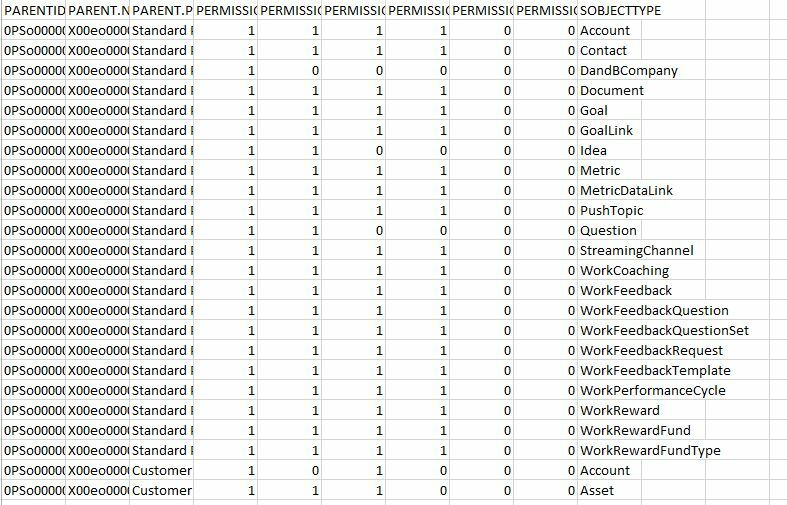 This is a good view for seeting what permissions a profile or permission set has at a glance. If you want to compare permissions, I would suggest changing the Profile/permissionset name to be the row and the column to be the object. You can then use simple formulas to determine if the permissionsets match. That’s it! You now can tell differences at a glance using excel skills and basic SOQL! Wow thank you! I’m working on something like this right now- usually I just copy and paste but I will give this a shot! Hii thanks you very much. Not all Object Permissions are owned by a profile, they may also be owned by a permission set. In this case, you can add a where clause of “WHERE Parent.IsOwnedByProfile = true” or false for whichever case you are writing for.